Just so everyone knows, this is in regards to my PHONE! hehe. I'm not pining away for anyone, or afraid that I can't live when Captain America deploys (that WILL be hard, but I'll be ok), or anything like that. But when my phone freaked out today, I almost DIED. hehe. I dropped what I was doing, and drove on up to Verizon to have them fix it. ROFL! So, it's Monday, and anyone who reads my blog regularly knows that that means! Savers Trip! hehe. And I finally talked some of my friends into going with me! Kari and Laurie both agreed to come and "play". I woke up at 7am, read scriptures, said prayers, got kids ready, and out the door by 7:30am. I sat on the couch with Jim for a while, and rested/snuggled with him. Then went and got ready for the day at 8:15am. Jake was doing school, and Jim was playing nicely. Right before 9am, I headed over to pick up Kari and Laurie (and Rowan - 4). And we headed to the East side to Savers. I was pretty excited. LOL! I donated a whole bunch of VHS tapes, and got a 20% off coupon. Doesn't hurt, right? Kari headed over to the jeans, and I headed to the shirts/sweaters. And I went to skirts, and dresses too. And jackets. And after shopping, we were all starving - ROFL! The girls wanted either Indian or Tai food. Sweet! I'd never had either. Well, the first place we tried was Indian, and yeah, it wasn't open on Mondays. Oops. hehe. Here's a pic of Rowan in the truck :) I told him to smile REAL big, and I'd give him a piece of gum - ha! Here's the appetizers that Laurie and Rowan ordered. He wanted chicken. But not this yellow chicken. I told him it was Big Bird, and Laurie tried to tell him the yellow was candy. Yeah, he didn't buy it. Chicken wasn't supposed to be yellow, and he was having NO part of it - LMBO! I got a taste, and it was YUMMY. Sorry, Rowan, you missed out - hehe. So no picture of my food. I ordered the Crying Tiger. It was steak, over a bead of cabbage. Served with rice, which I substituted for steamed veggies. Really, it was pretty good. AND on my menu :) Laurie got chicken and noodles stuff (yeah, I don't know what it was called), and Kari got the same noodles, but with ToFu. She said it was pretty good. I dropped Laurie and Rowan off first, then dropped off Kari. And yeah, I ALMOST didn't make it back home. I had to pee SOOOOO bad. After drinking a Diet Mt Dew on the drive over, and 4 waters at lunch, yeah, I needed a bathroom break BAD. I got home, and hobbled into the house and to the bathroom. It was close. I'm glad I didn't have a mess to clean up from an accident. But I was worried for a few minutes... LOL! I laid out all my purchases, and took a picture. Well, minus the camo shirt and sweat pant shorts for Jake. I got a TON of stuff! 3 formals, 1 Sunday dress, 1 mens dress shirt, 2 mens shorts, 1 mens t-shirt, 1 speedo womens swimsuit, 1 jeans, 1 brown dress slacks, 4 skirts, 1 girls sweater, 5 dressy shirts, and 1 womens sweater. Care to venture a guess at what it cost??? So I gave Jake instructions to pick up Jim from the bus, and headed to Verizon. With my laptop. I haven't been able to get out of Verizon in under an hour. So I wanted something to do. I chatted with the phone dude while he hard reset my phone. He said sometimes they just need crashed and restarted. Nice. AND, since I had 1500 contacts in my gmail account, and gmail and droids go together, it took FOREVER to reload. At first he thought it was 200 and I was like, yeah, it's more than that. Then he saw the 1500, and he was like, yeah, you weren't kidding - hehe. OK, that SO sounds like a teen-y bopper conversation.... sorry, girls! After Verizon, I was gonna go to Walmart and get more diet soda (since Captain America went through those cases of Diet Dew SO fast), but decided to try Big 8 instead, since it was right down the road. And not crazy busy like Walmart would have been. And while it wasn't $2.22 a 12 pack like before, it was $3.33, which is still better than $4.50 or worse. Crazy how expensive soda has gotten! And I picked up a few more apples. But they were SO small, that I had to buy double. Because I'm not eating one TINY apple as my one apple. I'm eating 2 tiny apples to make up for one normal sized apple - hehe. And then I headed home. Joe had JUST gotten off the bus, and the kids were all watching TV. And the house was trashed. I turned off the TV, and we speed organized the house. Not cleaned, but picked up the stuff from the living room and put it in a pile so that the person who has the living room for a chore could clean it later. And I did that to the kitchen, and the dining room too. And it looked a bit better when I was done. And then it was almost 4pm, and I got everyone ready for the pool. Neither Kari nor Veronica nor Laurie was gonna be able to make it to the pool today, so I decided to bring my laptop. 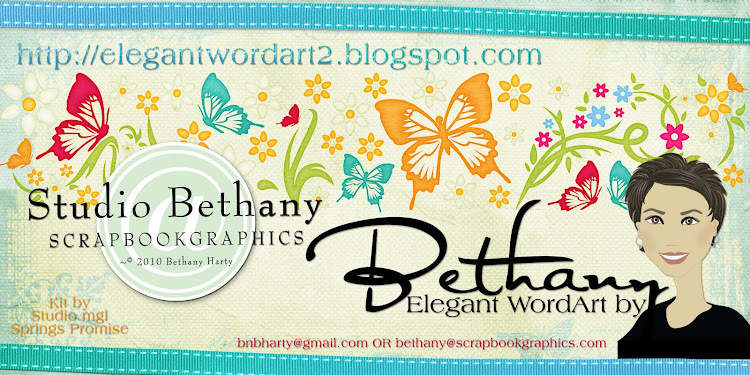 And design for a while :) Cause it makes me happy. Tom and Eme got home from AQ right at 4pm, and I had them hurry and change, and we were to the pool by 4:15pm. Kari dropped off Leo to play with my kids while she took her daughter to dance practice, and I designed and the kids swam. It really was an enjoyable hour. I got 2 1/2 wordart packs designed, and the kids got some exercise. And it wasn't as cold as it was last week. No one froze. hehe. We gathered up everyone, and headed home. And yeah, the kids were fighting SO bad. I'm afraid that they're gonna be spending a LOT of time in their rooms after Dad deploys, if they keep this behavior up - hehe. I was kinda the mean yelling mom. But just a little bit :) Not too bad. Kari came to pick up Leo right as I was starting to decide what to make for dinner. I had kids do their chores, and started on dinner. And Captain America came home right around the time when dinner was ready. And the kids had mellowed out by then. At around 7pm, we let the kids watch part of a movie, and Captain America and I went on a walk/jog. We'd missed Spin, so figured that a walk/jog was the next best thing. We ended up walking/jogging on and off, for 3 miles. About equal parts. It felt pretty good. We'd walk, then jog, then walk, then jog. My body responded well to the on and off, rather than just jumping right in and running, then feeling like I was gonna die afterwords - ha! We got back home, said family prayer, and put kids to bed. Captain America and I stretched quite a bit, and then I started blogging. He gave Tom a hair cut, and now is working on a project for work on his computer. ROFL! I really DID think it was about Brent. teehee. You crack me up, girl! Happy happy savers day for you! oh, and I am with Sharon. lol. probably have to say my computer is my "no livey withouty" since I just went through that again last week. yikes! i thought I was going to go insane. Thank you so much for this post. 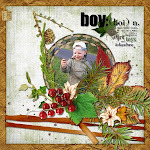 I want to let you know that I posted a link to your blog in CBH Digital Scrapbooking Freebies, under the Page 7 post on Dec. 07, 2010. Thanks again. Did you spend 16 bucks on everything you got at Savers? Dontcha just hate when the phone goes down? I konw I do. Thanks for the great word art. Thanks for the word art - love the story behind it! That is a lot of stuff you got, my guess is $20...Thanks for the cute wordart! The bunny in that [great] layout is just the cutest! !